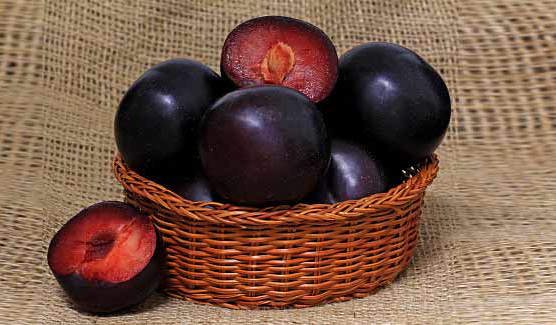 Black plum is a bitter and sweet fleshy fruit. 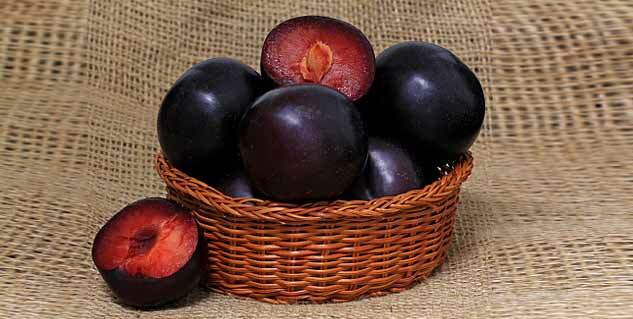 Vinegar of black plum is more beneficial than the fruit itself. It can be used to cure several digestive disorders such as bowel spasm. It can treat enlarged spleen, diarrhea and problems related to urine retention. If you have ever tasted black plum aka jamun fruit, you would know how yummy it tastes. The bitter and sweet taste of this fleshy fruit is simply extraordinary. But do you know vinegar of black plum is more beneficial than the fruit itself. Black plum vinegar treats enlarged spleen, diarrhea and problems related to urine retention. Besides, you can also use your homemade vinegar to cure several digestive disorders such as bowel spasm, flatulence, dysentery and more. Black plum vinegar can be used in food preparations for adding flavour, dressing, and even for treating certain health problems. Here is a simple method using which you can prepare the black plum vinegar at home. Deseed the plums and put all the flesh in a glass jar. Add water and sugar to it. Now cover the container using a muslin cloth to prevent the bugs, dust or anything else from falling into the solution. Place the container where it can ferment without any commotion. Keep it away from direct sunlight. Let the solution sit for 2 months. During this time, a thick scum will form at the top of the jar. This scum is nothing but the cellulose formed by the acetic acid bacteria present in nature and all the unpasteurized, fermented foods. It happens when the airborne and wild yeasts feed on the sugar present in black plum. After 2 months, you can strain the vinegar liquid in a glass bottle. Make sure to pass it through several cheesecloth layers, and a mesh strainer or a fine mesh bag. Cover the plum vinegar with a cork stopper or a metal cap. Strain the liquid again after a month through a clean cloth into the bottle. Now your homemade black plum vinegar is ready to add more flavor to your dishes.